Oftentimes, museum and collections visitors ask us where our collections come from. This is difficult to answer as the complexities of collecting have vastly changed over the almost 170 years MNHS has been collecting items. Additionally, Native American objects historically have not had the best provenance or information on origin (location, maker, tribal affiliation). Through researching more about MNHS’ Native American collections, there are stories about the objects that discuss their origin. One example in MNHS collections is the smoking jacket owned by Stafford King. 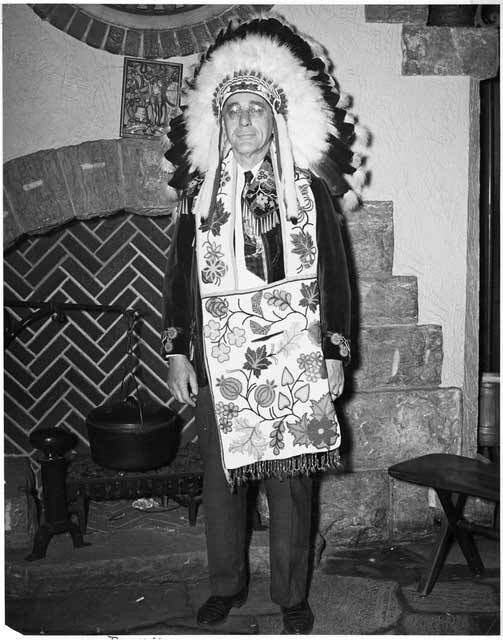 King was gifted the smoking jacket, a bandolier bag and other items at his induction into the White Earth Band of Ojibwe in 1920. At that time, King served as a patrolman for the Minnesota Forest Service. He would go on to serve as State Auditor from 1931-1969. 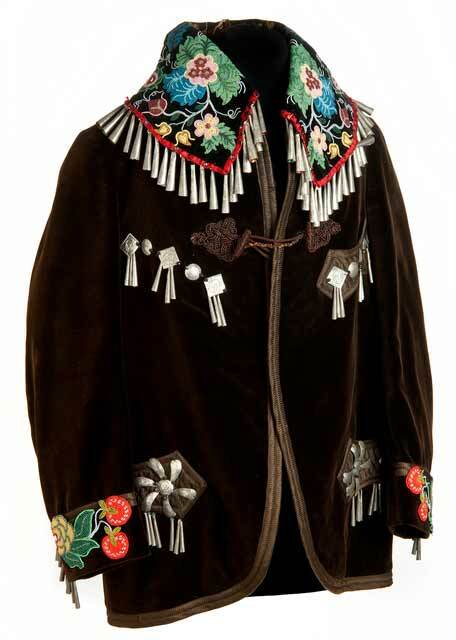 Beaded smoking jacket, White Earth Ojibwe, circa 1920. Stafford King wearing smoking jacket and bandolier bag, 1949. Although the direct details to why King was inducted into White Earth have yet to be found, it is apparent that the tribe felt he was deserving of such beautiful gifts. These gifts would later be donated to MNHS in 1990. Visit our Ojibwe Material Culture site for more Ojibwe objects. Also visit our Collections Online and Library for information on Stafford King.